Named as one of the best golf courses in the Chicagoland area by Chicagoland Golf Magazine, Blackberry Oaks is a public, 18-hole championship golf course designed by the late David Gill of St. Charles. Located in Bristol, Illinois, it was built to blend and enhance the natural assets of the property, such as Blackberry Creek, the wetlands, the prairie lands, and mature oak groves; a true “Link with Nature.” Blackberry Oaks has been honored to host many local and national qualifying tournaments. This year we are proud to be hosting the 2008 Illinois Open Qualifier. Also, in addition to numerous Illinois Junior Golf Association events, we have held the Qualifiers for the 2003 Illinois Open, the 1998 and 2001 U.S. Junior Amateur, the 1998 and 2005 State Amateur, and the 1997 U.S. Open. Where the hell is Bristol? I was thinking that the first time I played Blackberry Oaks. But being from the Naperville/Aurora area Bristol is not too far off the beaten path. Just off of I88 and Orchard Road (about 10 mins), Blackberry Oaks is easy to find relatively speaking, and it is a really fun course. 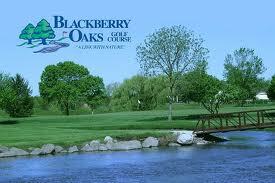 I have been playing Blackberry Oaks since I was in High School, and I have always been a fan. The course is short compared to PGA Tour standards, but it is sporty, always in good to great shape, the greens are tough, and the layout is fun. I love Blackberry Oaks for two reasons. One the golf course is in good condition, and the course if fun to play. I like to play courses that are a little easier sometimes. Not to say that Blackberry is super easy, it is far from that. But it has a great mix of tough holes to risk/reward holes, and the par fives are all reachable in two for the long to super long hitters. The second reason I love Blackberry Oaks is that they always have great golf deals. Internet deals, email specials, proshop specials: it doesn’t matter the time of year, it always seems like I am getting a deal there. This fall when the weather was so great I played Blackberry for $25 bucks with a cart. This summer, I played a few times at around $35. ***note: I do always play on the weekdays, so the rates are always cheaper than weekends. *** So the combination of a fun course that you can shoot some low scores on to get that golf confidence up, and great deals, the question is not where the hell is Bristol, but why have I not played here before? I also want to mention that not only is the course fun to play, the management there puts on some great events, all of which are open to the public. 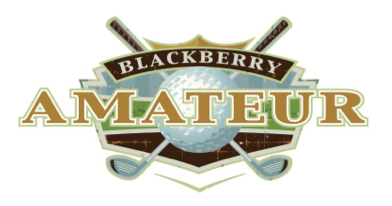 The Blackberry Amateur is becoming one of Chicago lands toughest amateur tournaments. I played this year, and despite a kidney stone, and some terrible putting, I had a fantastic time. This years Blackberry Am I believe had over 100 players in attendance. The winning score was -4 or -5 under for 36 holes, and first place got $750 in shop credit. There is also a skins game that you can get into each day. It was $10 for each day ($20 total) and the skins ended up being worth around 200 bucks each. Now three of the four on day one went to eagles, and all but one again on Sunday went to eagles. The format for the tournament is 36 hole stroke play, no cut, no handicaps. It is a scratch golf tournament, and that is why it brings in local heavy hitters. College golfers and the best amateur players seem to make it out to Bristol for one weekend a year in July to compete in this local golf tournament. I will be playing each and every year, and I hope to scare a top 25 next year. But with rounds of 79 and 84 (yikes!) I was near the middle of the pack, but I cannot say enough about how much fun it was to get out there and compete with some really good golfers. The Chicago Golf Guy gives Blackberry Oaks Golf Course a BIRDIE. I am a fan of the course, and the tournaments really make this a destination for any avid Chicago Golfer. Come out and play in the Blackberry Am if you are a low handicapper looking for some great tournament experience. Come out and play the course if you are just looking for a great deal and a fun place to play. If you are a Senior player they have tournaments for you guys as well, and a few leagues to play in. My 2 cents though, come out here and play Blackberry Oaks and I promise you won’t be disappointed. Do not drive all the way out to Bristol to play golf at Blackberry Oaks without making a stop at the Bristol Tap. It is a little dive bar place that every golfer or really any dive bar lover should make a trip out to see. 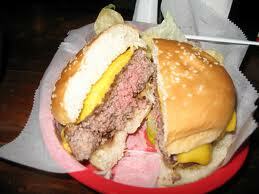 They have the best burgers, and root beer on tap to die for. I make it out there at least two or three times a year, and every time I eat a Bristol Burger I am reminded of why I love to eat. Big juicy and super inexpensive. Sometimes I think they are undercharging me. Bristol Tap is a great little place to eat and relax after a round of golf at Blackberry Oaks. Get a cheese burger, play a little gin with your golfing buddies, settle up your golf gambling debts, or just relax and enjoy the company of the Bristol Tap. I give the Bristol Tap and EAGLE, so by all means go and check it out and you will find the best Cheeseburgers outside of Chicago hands down.